When it comes to losing weight and eating healthy, the serving size of the foods you eat play an important role. Eating the right serving size helps keep your total daily calories under control, plus it helps you to eat nutrient-dense foods. To read the serving size on a food label, look for the “per serving” line. This will tell you the exact measurement for each serving. If we look at this food label for a bag of Costco walnuts, as an example, you see that 1 serving is ¼ cup (or 30g) of walnuts. It’s also important to note that the calories listed are per serving. You have to be careful whenever you’re reading a label to check how many servings are in the container. A small bag of chips may actually be four servings, while you assumed it was just one single portion. And that "small" Ben and Jerry’s ice cream is enough for four servings – you might be used to downing the entire thing in one sitting! Take Action: Grab your measuring cup or a food scale and a package of your favorite food from your food cupboard. Check the nutrition facts label for a serving size and measure it out. Is it more or less than you thought? What Are the Recommended Serving Sizes to Eat Per Day? What a recommend serving size is. How many servings you should eat per day. What Is a Recommended Serving Size? Different foods have different serving sizes. Generally, meat or proteins will be about 3 ounces and nuts will be a single ounce. Fruits and vegetables are often one piece, or one-half a cup if you’re talking about a fruit such as watermelon or a vegetable like brussel sprouts. Grains: 1 slice of bread, 1/2 a pita, 1/2 cup of cooked pasta or rice, 1/2 muffin. Meat & Alternatives: 3oz or 1/2 cup of lean meat, 2 eggs, 3/4 cup cooked beans or 2 tablespoons of peanut butter. Fats & Oils: 2 to 3 tablespoons a day of healthy fats like olive oil or flaxseed. What Are the Recommended Servings To Eat Per Day? The amount of servings to eat per day for grains, fruits & vegetables and meats/alternatives depends on your gender and how many calories you want to eat in a day. If you want to lose weight, you need to create a calorie deficit -- that is, you need to eat fewer calories than your body burns in a day. See: How Many Servings of Wine Are You Really Drinking? So, how many servings is enough for you? How many calories do you need to eat in a day to lose weight? You can find out with my calorie deficit calculator. Once you know how many calories you want to eat in a day, you can go the USDA's website to find out how many servings you need to eat a day: USDA US-Style Eating Pattern. 1) Create visual aids to help you eyeball serving sizes with ease. Even if you know that a serving size of meat is 3 ounces, it may be difficult to visualize that. Learn to connect the food to something about the same size. The 3-ounce serving of meat is similar to the size of a deck of cards. Your 1 ounce cheese blocks could be like having 4 dice laid out end to end. With my clients, I highly recommend using hand-size portions when it comes to how much food to eat. It's much easier to follow instead of remebering different serving sizes. 2) Use measuring tools to help you with serving sizes. 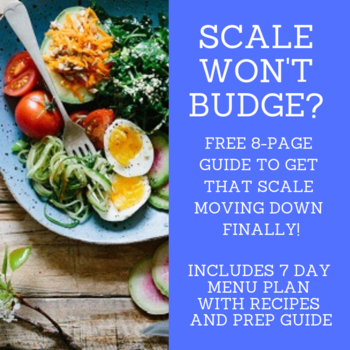 Don’t be embarrassed to whip out the measuring cups, scales and tablespoons. Using tools like this help you record your caloric intake more precisely, which results in increased weight loss. 3) Smaller plates give your serving sizes more mileage. If you start measuring your food and it’s much smaller than you’re used to, switch to a smaller plate! It will appear as if you’re still “filling up your plate” but in reality, you’ll be eating the right amount your body needs to shed pounds and become healthier. While it’s important to understand serving sizes when it comes to losing weight, it’s also important to listen to your hunger cues. As a nutrition coach, two strategies I recommend are to eat slowly and eat till 80% full, in addition to using hand-size portions. If you want to get a handle on your portions and learn how to eat better for your health, check out my weight loss program.